David is from Vienna, Virginia and he first got involved in Special Olympics at a very young age with strong encouragement and support from his family. As an athlete, he competes in swimming, soccer, softball and tennis. 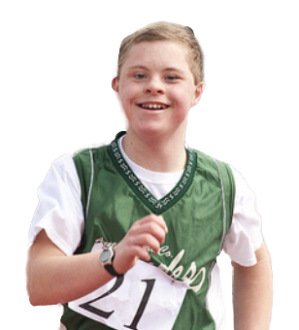 David enjoys playing Unified Soccer and Unified Softball on a team that is coached by his brother. In middle school, David became increasingly interested in public speaking. He credits Special Olympics for “giving him a voice” and he has been actively using his voice to change perceptions, promote respect, inclusion and dignity for people with Intellectual Disabilities. In addition to his public speaking engagements, David is an eager advocate for people with ID at the local, national and international level focusing and imagining the possibilities. Over the years, David has volunteered at two World Games in North Carolina and in Greece and participated in two Athlete Congresses. He serves on several boards to promote abilities and collaborate with other advocacy groups. He cares about building coalitions to make our world a better place for all. 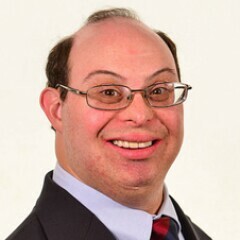 Recently, he was accepted as a Joseph P. Kennedy Fellow by the Foundation Trustees and is serving this year on Capitol Hill at the Ways and Means Committee with the hope to influence policy, install vision and change in the way individuals and organizations view people with disabilities. David works at Booz-Allen Hamilton in the distribution center and he is a trailblazer in the competitive employment of people with intellectual disabilities and has earned numerous awards. During his free time, David enjoys family and friends. He is a Star Trek Fan and loves all kinds of sports. With his vivid imagination and passion for the civil rights movement he loves to engage in thoughtful conversations about a variety of subjects.